On Monday 9th January a majority of 8:1 agreed the plans submitted by ECE and Roffey Homes for the redevelopment of the Bell Memorial site in Lancing. The Parish Council were amongst those supporting the new proposals which include 32 new apartments. Residents and councillors have backed the scheme throughout, with many positive comments at consultation. 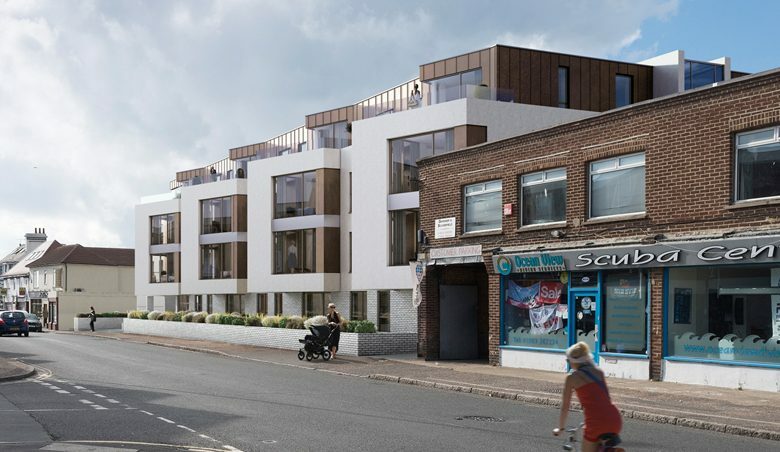 The design of the scheme and the proposed materials strongly reflects the desire of the client to create a high quality residential development utilising traditional materials found within the site’s locality that complement the surrounding context. All residents’ apartments have private external amenity with the majority having either balconies or terraces with sea views, while the ground floor apartments have private gardens. Used for validation, do not enter information on this field.